More languages are available. Just ask! We are based in the San Francisco Bay Area, but have clients all over the world. Babble-on gives you a real-life translator as a point of contact available to speak by email, phone, or IM. Send your translation projects or questions whenever you need anything—no matter how sudden, large or complicated. We can handle any language and we're amazing with deadlines. Of course, in the off chance your deadline is impossible or we don't think we can do the job with outstanding quality, we'll tell you right away, and even help you find alternatives. Why search endlessly for a qualified in-house translator? Your company needs an available-anytime, there-when-you-need-him, does-every-language kind of in-house translator. Unfortunately, no single human being can do that. But with a (virtual) in-house translator from Babble-on, you've got just that. Include the languages you typically need translated. Prove you're not a robot by entering the code below. 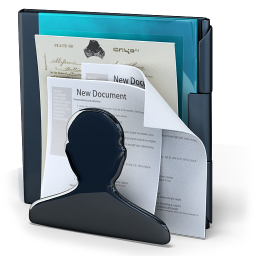 Include a sample so we know the type of documents you do. We'll send you more information by e-mail about where to send your documents and all the benefits of your free company account. No hidden fees. Just pay for what we translate. Babble-on is not an impersonal translation agency. We are a close partnership of independent translators who take pride in high-quality work. You benefit from a single point of contact who, as an actual translator, really knows what he's talking about. You'll not only be happy with the savings over an in-house translator, you'll have a smile on your face for the rest of the fiscal quarter. Typically for visa applications, immigration, universities, and other official institutions. High-quality translation for user manuals and technical documents. Babble-on will manage your project from start to finish, with native translators in as many languages as you choose. Yes, we do iPhone apps! Expand your potential visitors to include every language your audience reads. Working with some of the best translators and interpreters in the San Francisco Bay Area has its benefits. We'll come to you!